Joining the list of the Bonkers Best of 2017 (Get Out, Mother!, Split, A Cure For Wellness, The Killing of a Sacred Deer) is I, Tonya, a film that’s insane for an entirely different reason. This is a true story, or at least the closest to the truth that we are ever likely to get, that point being clearly made at the beginning of the movie before audiences embark on a ride that’s not just wild but pure lunacy. Some of us grew up during the Tonya Harding/Nancy Kerrigan/Michelle Kwan/Oksana Bauil days, and we know this story well, at least what we saw on TV. This film attempts to piece together the most probable bits from the events and weave them together to made something resembling a coherent time line, a practice that might simply be impossible. So here it is, the Tonya Tale, served to us with a slice of humble pie as dessert, for when we realize that we might not know the whole story after all. Tonya grew up as redneck trash in Oregon, skinning rabbits and fixing trucks with her daddy, abused emotionally and physically by her mother, with the constant reminder that she was nobody, would never be somebody, and might as well not exist. Tonya did have one God-given talent though, and that was skating. She was magic on the ice, but that hobby took money, and she would never fit in with the little rich girls no matter how fast she twirled. Sewing homemade outfits out of scraps, Tonya and her mother LaVona spent every penny and every minute fighting to enter the skating world, and eventually it was forced to notice her. But a serious of terrible choices would lead to a horrific decision, and Tonya’s life would go from crappy to criminal, as her husband, Jeff Gillooly, put in motion an infamous attack that we still remember today. I, Tonya is almost done in a Big Short style, with some asides to the camera and some assurances that, yeah, this really did happen. It’s almost unbelievable, but we lived it, we saw it, and the truth has unraveled over time until it has formed itself into the mysterious weave it is now. What actually went down, how the people involved really feel, we may never know, but this film does a hell of a job piecing the puzzle together in a way that’s both powerful and eye-opening. 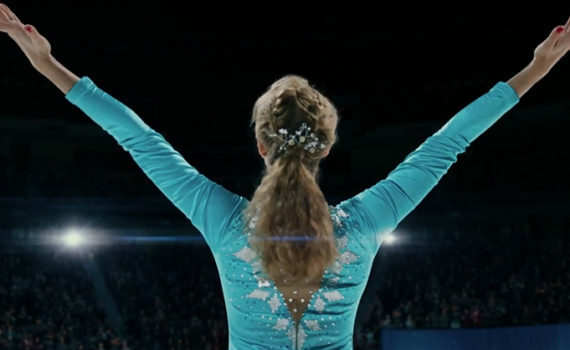 It never claims to know the entire truth, but it does shed some light on Tonya specifically, and that part of the movie was phenomenal. At first I wondered why they were painting this criminal as a character we ought to empathize with, but by the end I got it, and credit to Margot Robbie for making that happen. She looks nothing like Harding, she always seems 10 years older than what she is supposed to be in any given scene, but she pulls off an extremely wacky role, so she deserves some applause. The real show stoppers were Sebastian Stan as Jeff Gillooly and Paul Walter Hauser as Shawn Ecckhardt, the pair of them stealing the limelight, providing the laughs, and also succeeding in portraying complete psychopaths. That’s the film in a nutshell; you laugh but you also gasp, especially when it hits you that this is real life, that this happened. Don’t count it completely out of Academy Awards consideration; it’s strong enough in multiple categories to deserve a nomination.